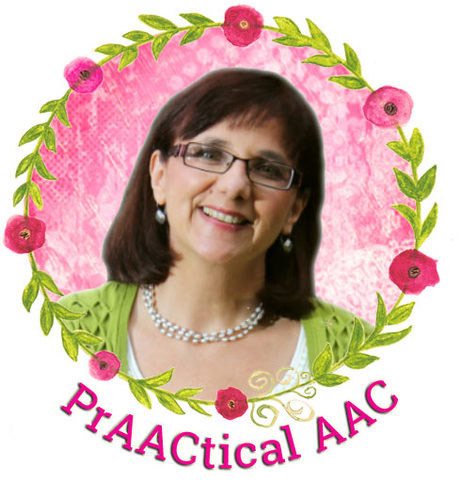 Looking for more ways to build AAC skills? Book reading can be incorporated into therapy sessions and instructional lessons, as well as part of the daily routine at home. Here are some ideas for using books to support AAC and language learning. 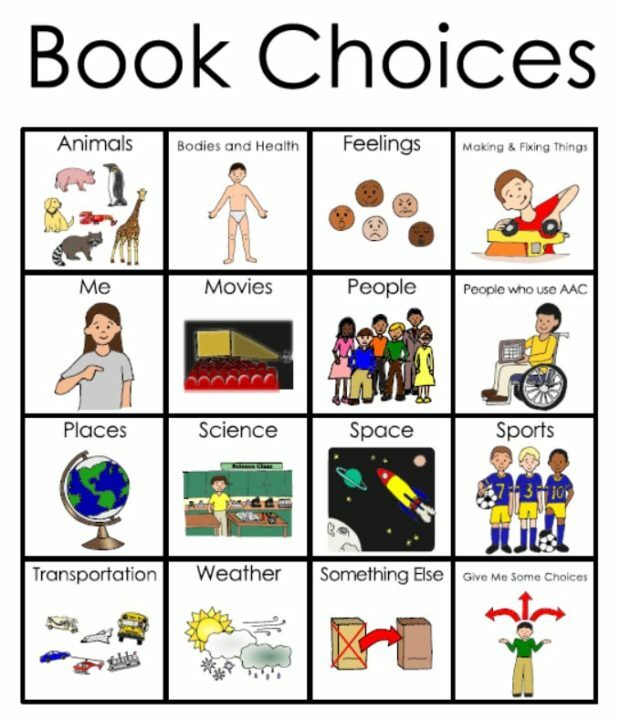 Choosing a book: In most cases, we want the AAC learner to have the autonomy to choose a book. However, we can make this part of the AAC learning process by teaching the skill of choosing something to read and talking about it before the learner makes his/her choice. Goal Areas: We can use this time to build basic turn-taking skills, requesting, sentence-building, and new vocabulary, among other things. It’s also a great opportunity to develop more advanced syntax using words like ‘since’ and ‘because’ (e.g., “I want to read about sport because it is World Cup time.”) and various sentence structures (e.g., “First, let’s read a sports book, then a science book.”). We can stretch our learners’ morphological skills in these conversations, too (e.g., we may talk about things being scary but feeling scared or describe athletes as being fast, faster, or fastest). We can also teach some skills in the area of strategic competence, such as switching between multiple means of communication to convey a complete thought. For example, Juliana may use her manual sign approximations to tell us that she wants to read, and her SGD to explain that she wants a Frozen book. Visual Supports: Choice boards can be a nice adjunct to more robust AAC options. Beginning communicators often do well will photos of the covers of specific books that they know and enjoy, but I like to transition to things that stretch their language learning as soon as possible. This can be their SGD, PODD book, communication book, etc. Another option is a categorical choice board that we can use to tell each the kind of book we want, like in the example shown here. Use the CAAP/RAAP strategies: Talking about the storyline and illustrations allows us to build language skills, relate the text to the learner’s own life, and provide practice on the AAC system. Be a critic: I am a huge fan of teaching AAC learners to use qualitative rating scales to express their opinions (more about that here). 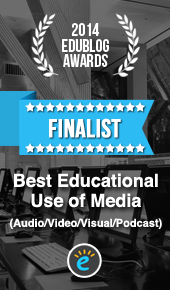 We can support that process by helping AAC learners rate the books they are reading. Tar Heel Reader gives us a chance to rate each book after reading it. You can give it 1, 2, or 3 stars. Rather than skip this or breeze through it, we can make it a planned part of the language teaching experience. Visual Supports: These can be created a number of different ways, depending on the needs and abilities of the learner. Here are a couple of examples. Recommend a book: When someone finds a book that they really enjoy, why not have them recommend it to others? We can work together to identify what makes the book worth reading, and then share that with others. That can be in the form of a face-to-face conversation, a text or email, or with a visual support. Posters like the one shown here can be completed together with support then displayed or sent to a friend/family member. Ask partner-focused questions (e.g., What do you think? Did you ever do this? Tell me about it. Can you tell me what you know about it?). 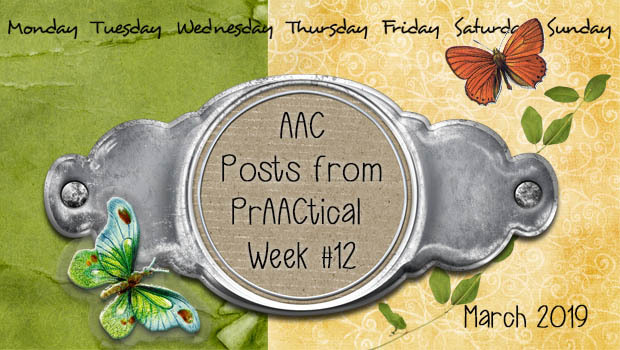 Do you have favorite ways of facilitating language development and AAC use through books and reading? We’d love to hear about it. P.S., You can download a PDF of the visual supports shown in this post here.